By Dr. Reed Sheard, Vice President for College Advancement and Chief Information Officer at Westmont College. This article is the first in a series about Westmont College's use of AI. Read the second, about engaging stakeholders, here. Westmont College, a Christian liberal arts institution located in scenic Santa Barbara, recently confronted a major obstacle in its advancement and fundraising efforts. The college had conducted two capital campaigns in only nine years. The first campaign had raised $80 million, which was at the time the largest in the history of the school, and the second secured over $155 million. Westmont now has committed to a $250 million campaign. On the heels of two successful drives, the college recognizes it doesn’t have enough donors in the pipeline to reach that goal. Westmont is no stranger to challenges and recent events have highlighted the pressing need for successful fundraising. The recent California wildfires and mudslides in Montecito caused four college-wide evacuations. In 2008, Westmont had 20 buildings destroyed or damaged when a fire broke out in the hills above Santa Barbara. In spite of these challenges, the school has continued to expand its aid program to increase the diversity of the student body, bringing in high-performing students, many of whom do not hail from affluent families. This commitment to doing the right thing in admissions has reduced the number of alumni and parents who could become potential donors. This perfect storm of challenges led to the decision to commit to a year-long experiment with Gravyty using Salesforce data and Gravyty’s Artificial Intelligence (AI) to find “gems” hidden in the information about prospective donors and drive engagement with these prospects. The College manages 54,000 contact records in the Salesforce CRM. The purpose of the AI project is to test the hypothesis that hidden viable prospects exist within the data set which traditional research will not uncover but AI can find. Teach a team how to perform at even higher levels which will be required to ensure a successful campaign. We believe that Gravyty’s First Draft AI product will fulfill these tasks admirably and we intend to test it with our project. Gravyty’s ‘First Draft’, coupled with Salesforce, will prompt Westmont fundraisers to cultivate and solicit donors who have been selected as optimal for the campaign. We will test this approach against Westmont’s standard approach to fundraising. In our experiment, Group A will be guided by AI tools and the Salesforce platform and group B will be guided by the standard methodology. We plan to share our results with other institutions of higher education through a series of short articles in the hope that they will also be able to improve their fundraising results. Westmont is optimistic regarding the potential of the Gravyty/Salesforce group and believes it could represent the breakthrough fundraisers in higher education have been looking for. Higher education is going to change more in the next 10 years than it has in the past 100 years. The question is how Westmont can benefit from this transformation and not be imperiled by it. If we are going to succeed in our fundraising function, we must move from invoking nostalgia among our prospects to inviting them to become thought leaders, working with us. In this way, we plan not only to succeed in the current campaign but also to ensure that Westmont thrives in the coming decades. 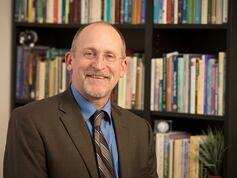 Dr. Sheard is Chief Information Officer and Vice President for College Advancement at Westmont College. Since 2009 he has led fundraising efforts and campaigns which have secured over $300 million for academic programs, student scholarships and capital projects. As CIO, he plans, develops, and implements technology solutions to address the educational and institutional needs of the college. This also includes developing strategic plans for the college-wide implementation of technology for students, faculty, staff, administration and alumni. He is passionate about excellence and the role technology can play in improving the effectiveness and impact of any organization. In 2015 Dr. Sheard was recognized by IDG/Computerworld as one of the top 100 CIO’s in the United States.